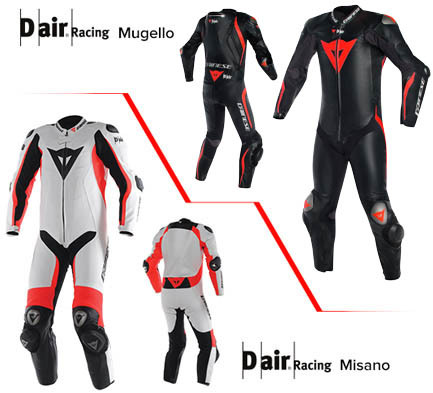 D-air® technology is our most advanced milestone on the never ending road to the future safety of our riders. It is a sophisticated system combining a Heart, a Brain and Intelligence. A Heart that provides protection in an instant, due to its revolutionary airbag technology. The Heart protects. The Brain is the Intelligence ensuring it does so effectively, just at the right moment. Combining the two creates Intelligent Clothing. 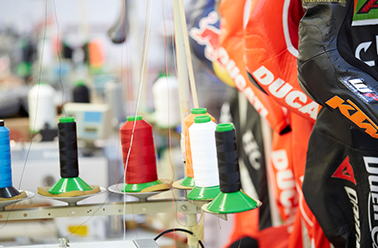 D-air® is a protection technology that uses an intelligent system to detect dangerous situations and quickly inflate airbags that have been designed and developed especially for motorcyclists. D-air® is intelligent clothing, able to protect the wearer, even without their intervention, when they are unable to control what is happening. 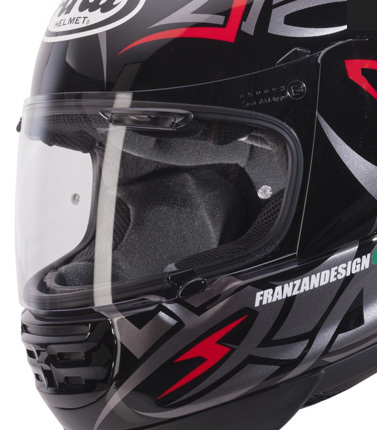 D-air&reg: Racing limits the inclination of the head in relation to the neck and reduces helmet movement during rolling. 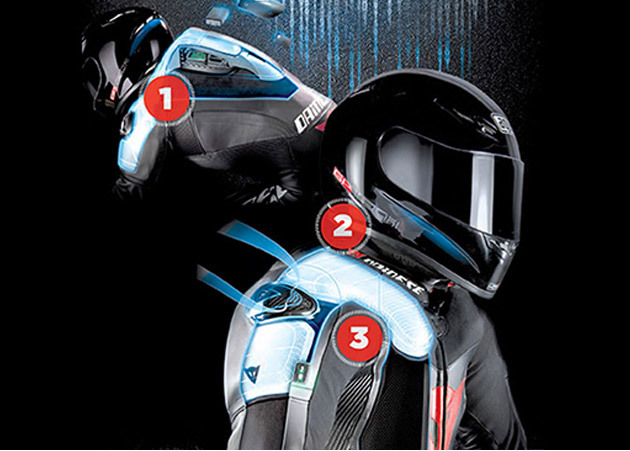 D-air&reg: Racing reduces the risk of direct helmet impact on the collar bones. 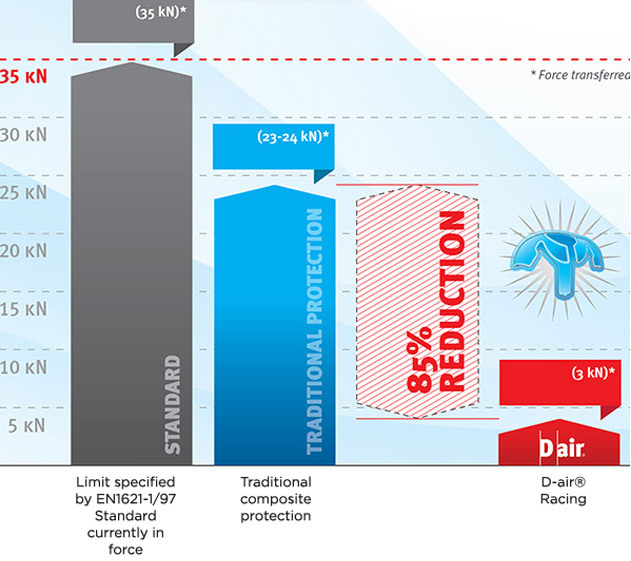 Tests carried out in accordance with the current European standards for shoulder armour (EN 1621-1/97) show that D-air®: Racing reduces the force transferred by over 85% compared with traditional composite body armour.